The Lake Mary High School Booster Club Presents the 12th Annual Lake Mary 5K to enhance student activities and support the Field Turf and Track Projects. The installation of new artificial field turf and track is a current project that the Athletic Dept is undertaking. The 5K Run is a Road Start and a stadium Finish! Hear your name on the Don T Reynolds Stadium PA system as you round the track to the finish and your victory lap. Cool down and celebrate under shade trees after you catch your breath. This is a chip timed road race through the local neighborhoods. All turns and miles will be marked marked. You can download FREE finish line photos into social media after the race. 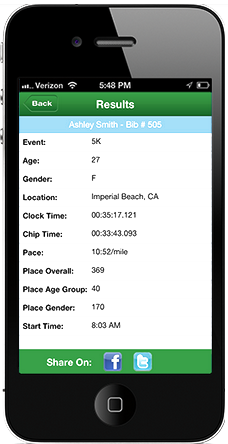 Results will be LIVE ONLINE, via text message and email as you cross the finish line. T shirts to the FIRST 500 participants. Race Day Schedule: Packet pick up and late registration: 6 am to 7:15 5K begins at 7:30 SHARP, Kids Dash will begin at 8:30 and AWARDS will be held at 8:45 am. AWARDS: The overall Male and Female, top Masters (Over 40) Male and Female and TOP THREE finishers in each age group will be awarded. PARKING: There is plenty of parking available in school lots in close proximity to the stat and finish lines.